Shanghai, 20 April 2013 - Luxury sports car maker Aston Martin launches the luxury four-door Rapide S in China today at N104 N1 pavilion at the 15th Shanghai International Auto Show. 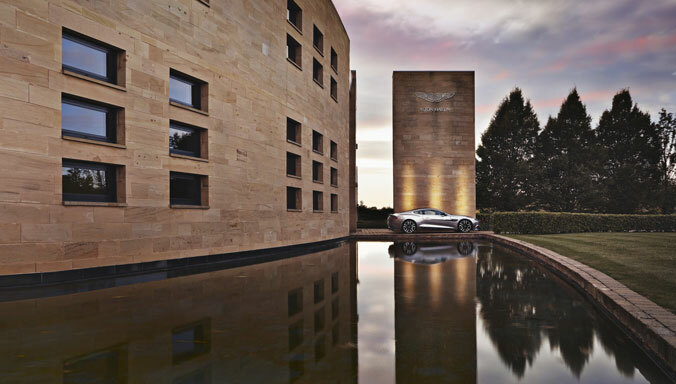 The British brand reveals its best model range ever including a Centenary Edition Rapide S anda personalised ‘Q by Aston Martin’ Rapide S, Vanquish, the ultimate GT, new DB9 and the V8 Vantage celebrating a century of motoring achievement. The classic DB5 from Skyfall is also on show again for the Chinese public as part of Aston Martin’s centenary presentation of Power, Beauty and Soul. Aston Martin launches its new luxury four-door sport GT Rapide S at the show. Combined with extraordinary performance, luxury, elegance and craftsmanship, Rapide S has been sympathetically redesigned and painstakingly re-engineered. Rapide S represents excellent design and advanced engineering, signalling an exciting and confident future for the historic brand. Rapide S uses the new AM11 naturally-aspirated 6.0-litre V12 powerplant delivering unprecedented power and improved in-gear acceleration. Power from the new engine jumps significantly compared to that of its predecessor: up by 17% or a massive 81 PS from 477 PS at 6,000 rpm to a now very substantial 558 PS at 6,750 rpm. Peak torque increases, too, up from 600 Nm to 620 Nm at 5,000 rpm. Increases in power and torque lead to even swifter performance as befits a four-door sports car, making Rapide S the most powerful four-door Aston Martin to date. Rapide S continues to benefit from the latest generation of Aston Martin’s world-renowned VH (Vertical Horizontal) engineering philosophy, using many elements of the current Gen4 VH architecture. The luxurious new Rapide S is now more refined thanks to a range of additions to the sumptuous interior. Still instantly recognisable as an Aston Martin, Rapide S inherits the quintessentially elegant four-door silhouette from Rapide. The standard-fit pure glass transmission selector switches in the centre console represent the levels of craftsmanship of Aston Martin. The new Rapide S is available to order in the Chinese market starting from the recommended retail price of 3,588,800 RMB (excluding tax). 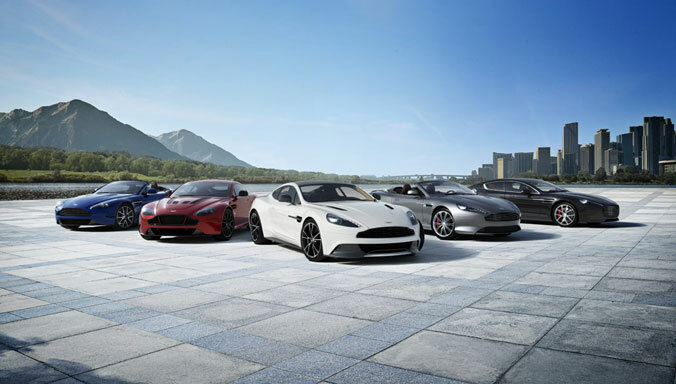 In addition to the Rapide S, the ultimate GT Vanquish, timeless new DB9 and V8 Vantage are also on show at Shanghai, completing the best Aston Martin model range. The culmination of a century of Aston Martin design, engineering and manufacturing create the ultimate GT – the new Vanquish. This sports car is inspired by Aston Martin's One-77 super car. The new Vanquish boasts design language derived from the One-77 such as the elegant and flowing waistline, elongated side strakes, a curvaceous, taut form and LED light blade rear clusters, as well as entirely new design ideas such as the remarkable rear aero duct. The new Vanquish sets the visual standard for today’s luxury sports cars. It offers luxurious, continent-crossing capability and pure driving excitement without compromise. The new DB9 is as elegant as ever in the timeless DB series. DB9 has brand new features, with an updated engineering design and luxurious specifications. The new DB9 adds a more pronounced rear boot ‘flip’ to further enhance the aerodynamic performance of the car. This DB9 also features the new generation AM11 V12 engine and Gen4 VH architecture, tuned to suit the character of DB9. The Vantage series, represented by V8 Vantage has inherited a century of Aston Martin racing DNA. The car has almost perfect 49:51 weight distribution, giving outstanding handling characteristics and excellent all-round capabilities. 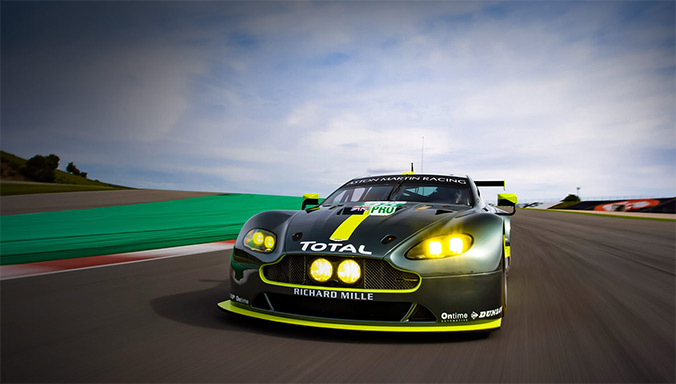 Aston Martin has adopted a dry-sump lubrication system for the V8 Vantage. The engine sits very low in the body, lowering the centre of gravity, which in turn helps to improve handling and the overall balance and stability of the car. The Centenary Edition Rapide S makes its debut in China at the show. 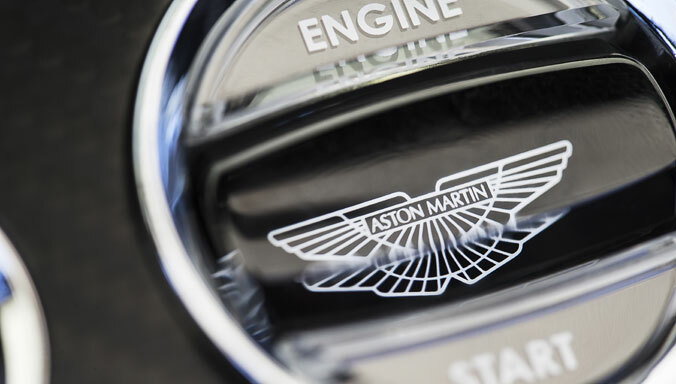 Featuring a unique graduated paint finish, solid sterling silver Aston Martin wing badges with tailored ‘trans flux’ enamel inlay and a special Aston Martin hallmark, the exterior represents an exclusive celebration of the company’s 100-year history. 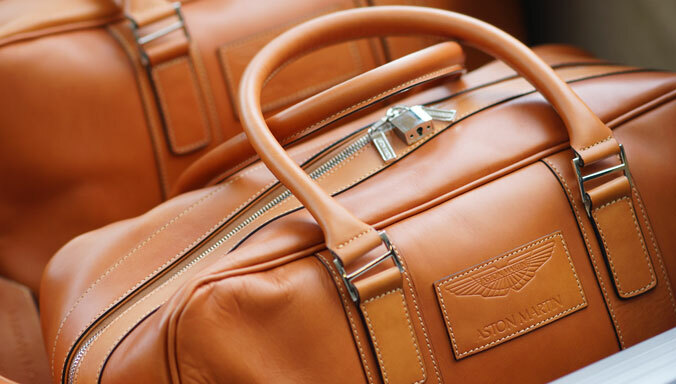 Centenary Edition Aston Martin models are identified inside by their luxurious treatment. Deep soft black leather – previously featuring only in the One-77 super car – with contrasting silver stitching, a special silver thread embroidery of the Aston Martin wings in seats and solid sterling silver sill plaques individually numbered with an Aston Martin hallmark are among the features unique to Limited Edition cars. Naturally, all these special features can be seen in the Centenary Edition Rapide S.
In addition, the stand featured a ‘Q by Aston Martin’ model Rapide S. ‘Q by Aston Martin’ is a bespoke service – it can even be seen as a brand of its own – and goes far beyond even Aston Martin’s extensive options list. 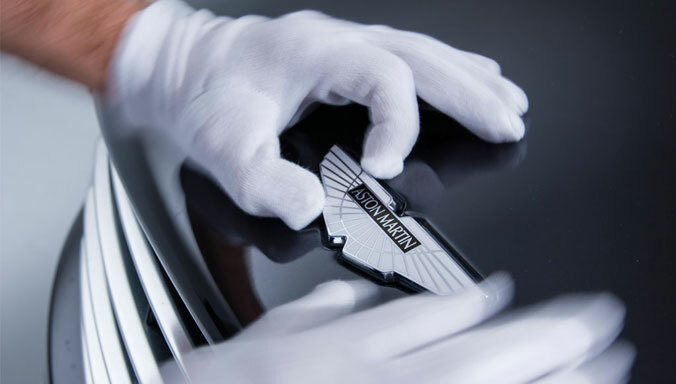 ‘Q by Aston Martin’ allows customers to enhance and personalise their cars with meticulous attention to detail. The service can be extended to interior and exterior styling, offering almost endless opportunity for expression. 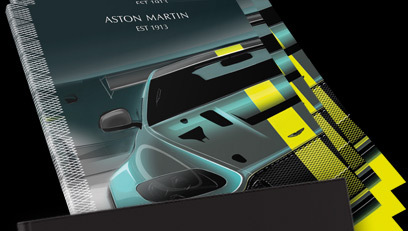 Thanks to Aston Martin's unique VH architecture, the philosophy that forms the backbone of its sports cars, the company has evolved a fast, flexible and modular approach to engineering. 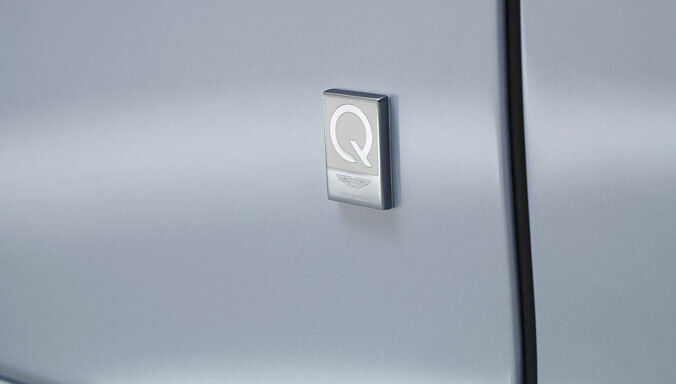 With ‘Q by Aston Martin’, the ability to commission the design and manufacture of a unique car is now within reach. The luxury brand marked the official anniversary of its founding 100 years ago with a ceremony at Chelsea’s Henniker Mews – the original home of the company in London. In China, the classic DB5 which recently featured in the James Bond Skyfall film is on show at the Aston Martin stand, reflecting the company’s glorious history. 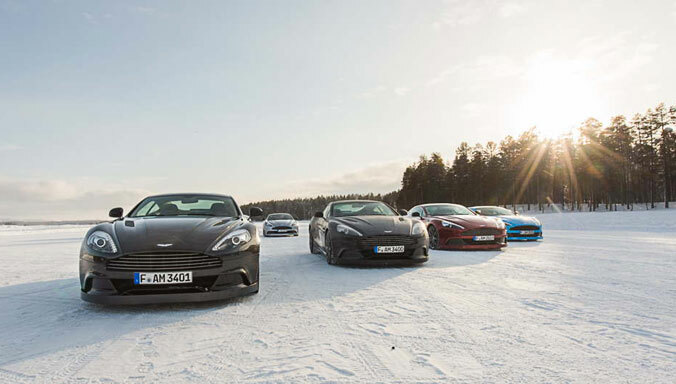 The DB series is defined as timeless among Aston Martin models. 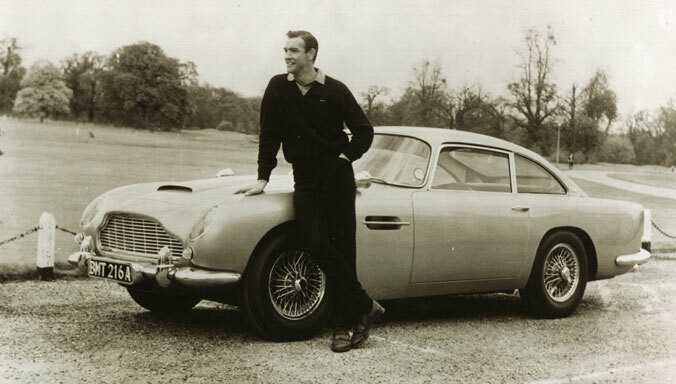 As one of the most iconic and recognisable cars in the world, the stunning DB5 has appeared in six of the 23 007 films. The appearance of the DB5 at the Shanghai show is an important part of the luxury British sports car maker’s celebrations of a century of motoring achievement. Aston Martin is looking forward to its second century of creating unique sports cars with Power, Beauty and Soul.